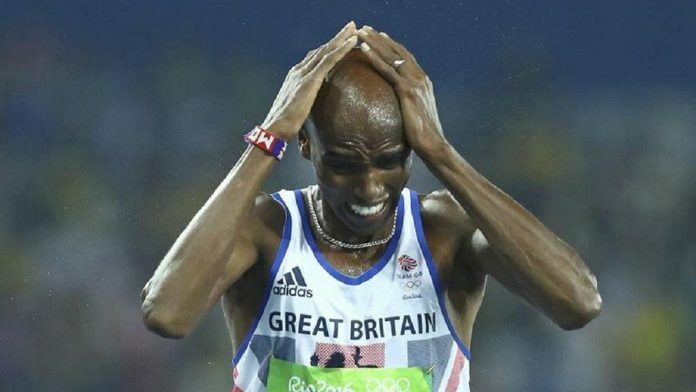 Somali-born British Olympic athlete Mo Farah says the recent travel ban imposed by the United States President Donald Trump was borne out of ignorance and prejudice. 33-year-old Farah is a full British national, he moved to the UK at the age of eight. He was based there till he relocated the US where he has lived since 2011. ‘‘On 1st January this year, Her Majesty The Queen made me a Knight of the Realm. On 27th January, President Donald Trump seems to have made me an alien. ‘‘I am a British citizen who has lived in America for the past six years – working hard, contributing to society, paying my taxes and bringing up our four children in the place they now call home. Now, me and many others like me are being told that we may not be welcome,’‘ his post on Facebook read. President Trump late last week signed an executive order that banned nationals from seven Muslim countries. Three African countries and four in the Middle East were affected by the order which was to take immediate effect. The affected countries were Somalia, Sudan, Libya, Iran, Iraq, Yemen and Syria. ‘‘It’s deeply troubling that I will have to tell my children that Daddy might not be able to come home – to explain why the President has introduced a policy that comes from a place of ignorance and prejudice,’‘ his post added. A federal judge has meanwhile issued a temporary halt to deportation of visa holders or refugees stranded at airports. There were protests at airports across the US against the executive order even though Trump has since defended the move. The UK Foreign Office clarified that British nationals would be exempt from the order. Afterwards a spokesman for the Olympic champion said he was relieved but stood by his earlier post which had been shared over 240,000 times. “Mo is relieved that he will be able to return to his family once his current training camp concludes. However, as he said in his earlier statement, he still fundamentally disagrees with this incredibly divisive and discriminatory policy,” the spokesman said.